Essendon co-skipper Aaron Ayre notches up his 100th Premier 1st XI match this round. Essendon chasing down Melbourne’s target of 348 after an overnight declaration at the Albert Ground in just 73.1 overs thanks to innings from James Seymour (106 off 112 balls), Aaron Ayre (67 off 87), Justin Galeotti (73* off 158) and Michael Hill (89 off 83). Geelong chased down Prahran’s target of 291 after recommencing at 1/35. Angus Boyd (80* off 140), Eamonn Vines (56 off 139) and Tim Ludeman (53 off 88) the planks in the chase despite the efforts of Lachlan Bangs (3/64 off 15). Thrilling last-wicket draws were played out in the Melbourne University v Casey-South Melbourne and Footscray v Camberwell Magpies matches, with Casey-South Melbourne hanging on at 9/273 chasing 332 after keeper Devin Pollock scored 104 to almost get his side to hold on, while Footscray was left to hang on after a middle and lower order collapse saw them drop to 9/246 with the last wicket surviving 5 overs to hang on. Ringwood provided the upset of the round by defeating Top 8 contender St Kilda, with Michael Topp (5/36) and Matt Fotia (3/33) doing the damage. Frankston Peninsula also caused an upset by chasing Northcote’s target of 195 for the loss of only 3 wickets, with Robert Salerni (75*) the rock for the Heat in their chase. The remaining victories went to the Greenvale Kangaroos over Kingston Hawthorn, Carlton over the Monash Tigers and Dandenong over Fitzroy Doncaster. Just 3 rounds left stand between us and the Finals Series, with potentially up to a dozen sides still in with a chance of playing Finals cricket. With this round being a Saturday/Sunday round for Men’s 1st and 2nd XIs and Saturday One Day game (whites + red ball) for the Men’s 3rd & 4th XIs, it will be an opportunity for sides to either make or break their season. St Kilda (6th) hosts the Monash Tigers (11th) at the Junction Oval. The Saints will be keen to rebound after a batting collapse against a Ringwood side minus Rams skipper Ian Holland, while the Tigers will be keen to get their batting card going again after going down to a more even Carlton batting performance. Both sides have some good firepower with the Saints possibly having more of an edge with the home-ground advantage on the Junction Oval. Saints to start favourites. Kingston Hawthorn (18th) host Ringwood (12th) at Walter Galt Reserve. The Hawks were competitive against the Greenvale Kangaroos but ultimately little support for Shorye Chopra with the bat was the difference. The Rams knocked off St Kilda last weekend and will be keen to go back-to-back to keep their faint Finals hopes alive. Expect the Rams to start favourites with evergreen David King to find some overdue runs and get his season going with the bat. Casey-South Melbourne (7th) host fellow travellers Geelong (4th) at Casey Fields #4. The Swans held on grimly against Melbourne University in a chase that they were always on the back foot, while the Cats chased 290 successfully at home against Prahran. The wicket of Luke Wells will again be the barometer for the Swans batting, while the Swans will need to dismiss Tim Ludeman and Eamonn Vines cheaply to put pressure back on the Cats line-up. Cats with their whiskers in front! Fitzroy Doncaster (3rd) host Prahran (14th) at Schramms Reserve #1. The Lions took it up to Dandenong last round but came away from Shepley Oval empty handed, while Prahran struggled to contain Geelong’s run chase on the road and eventually went down by 4 wickets. The strength of the Lions bowling attack will be tested against the Prahran batting line-up with Adam Bull, Jake Hancock and Will Sutherland all making runs. If Prahran can get their bowlers firing they have a chance of upsetting the Lions. Frankston Peninsula (15th) host Footscray (17th) at AH Butler Oval. The Heat came away with the points after beating Northcote at Bill Lawry Oval, while the Dogs salvaged a draw against the Camberwell Magpies after a last wicket stand held the Magpies’ attack at bay. Both sides have again had a mixed season and will be keen to claim some points to finish the season strongly. On paper, the Dogs have more experience across the board and would have to go in favourites. The Greenvale Kangaroos (16th) host Dandenong (8th) at Greenvale Reserve #1. 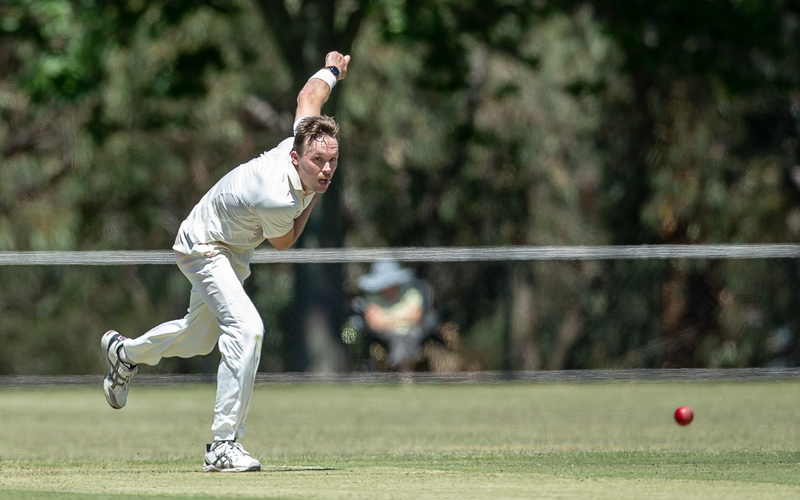 The Roos have played some good cricket post-Christmas and have come away with 2 wins, while Dandenong’s title defence appears shaky despite coming away with a win in the Grand Final rematch against Fitzroy Doncaster. Expect the Roos to be competitive and put in another strong showing but the Panthers will have to start favourites with the position they are is as any loss from now could see them miss out with Melbourne hot on their heels. The Camberwell Magpies (10th) host Melbourne University (5th) at the Camberwell Sports Ground. Both sides were stiff in their respective games, getting their opponents down to the last wicket but not being able to break them to claim the points. The Magpies need to win this game to keep their Finals aspirations strong, while Uni will be wanting to win and rely on an upset to get back inside the Top 4. A tough game to predict a result for. Carlton (1st) host Melbourne (9th) at Princes Park #1. This match will be a big one for both sides as the Blues will be keen to hold top spot while the Demons will be keen to get inside the Top 8. Both sides have a strong batting line-up, while the Blues appear to be slightly stronger on paper with the ball. The first day’s play will be interesting to see where the game is at come Sunday’s play. Another match that could easily go either way. Finally, Essendon (2nd) host Northcote (13th) at Windy Hill. The Bombers have shown they appear to be a genuine premiership threat with their run chase at the Albert last week but will need to get some more form into the bowling attack after a lean couple of rounds with the ball. The Dragons have been competitive but will be looking to break a 3-game losing streak on the road against one of the in-form teams in the competition. The Bombers to start favourites at home. In Women’s Premier 1sts, just 3 rounds of action remains and the chance of Finals is still strongly in the nostrils of most sides. From now, each game is a sudden knock-out as any negative result may limit or potentially end hopes for March and Finals action. Box Hill defeated Essendon Maribyrnong Park by 12 runs with Mustangs skipper Rebecca Carter (49 & 3/33) the stand-out, while Natalie Schilov (44 & 3/27) was the Bombers best performer. Round 11 will be the round that could end some finals aspirations for some sides, while for others it will continue to strengthen their chances. Only Prahran is guaranteed a Finals berth with an 11-point break on Box Hill in 2nd place but will be keen to finish the Home and Away section of the season strongly. All other remaining sides bar Ringwood still have a chance to make it, while the Rams can still play a role in finishing their season strongly and giving some sides headaches on the field. Dandenong (5th) host Box Hill (2nd) at Greaves Reserve #1. The Panthers will be keen for revenge after dropping to Ringwood last week and will find this game as a ‘do or die’ clash as a win will keep them in the hunt, while a loss will cause extra pressure. For the Mustangs, another victory will guarantee a Finals place but will be relying on Carlton-Brunswick to upset Melbourne to give them extra breathing space in 2nd place. Recent form suggests the Mustangs on the road in this battle. Carlton-Brunswick (7th) host Melbourne (3rd) at AG Gillon Oval. 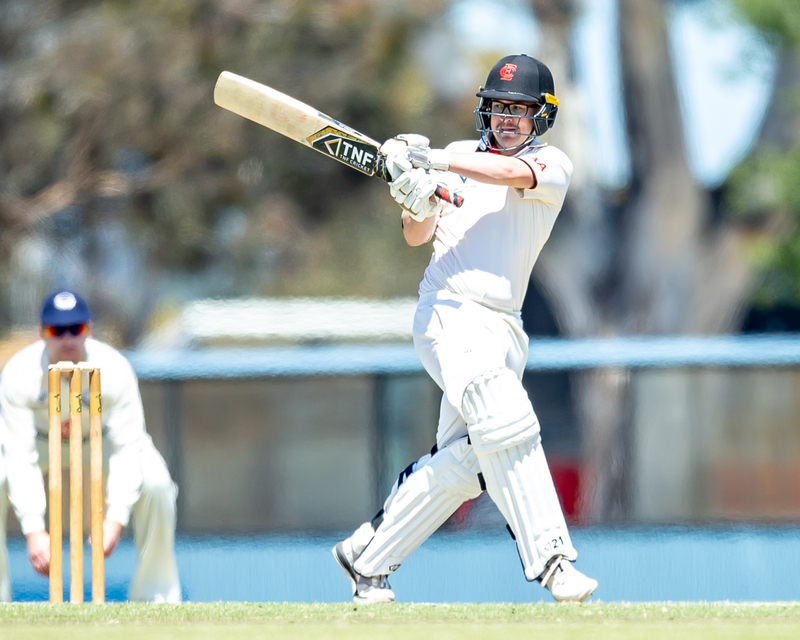 The Strikers took it up to Prahran at the weekend and will take plenty of positives out of the game, while the Demons will be looking to bounce back after losing on the road at Yarrambat against Plenty Valley. For the Strikers to keep any chance of Finals alive, they need to win here but I feel it might be a bridge too far on this occasion if the Demons’ bats get going. The Demons to go in as favourites. Prahran (1st) host Plenty Valley (4th) at Righetti Oval. The True Blues have all but secured the Minor Premiership with an 11-point buffer and 3 rounds to go but will be keen to lock that title in if they can beat Plenty Valley. 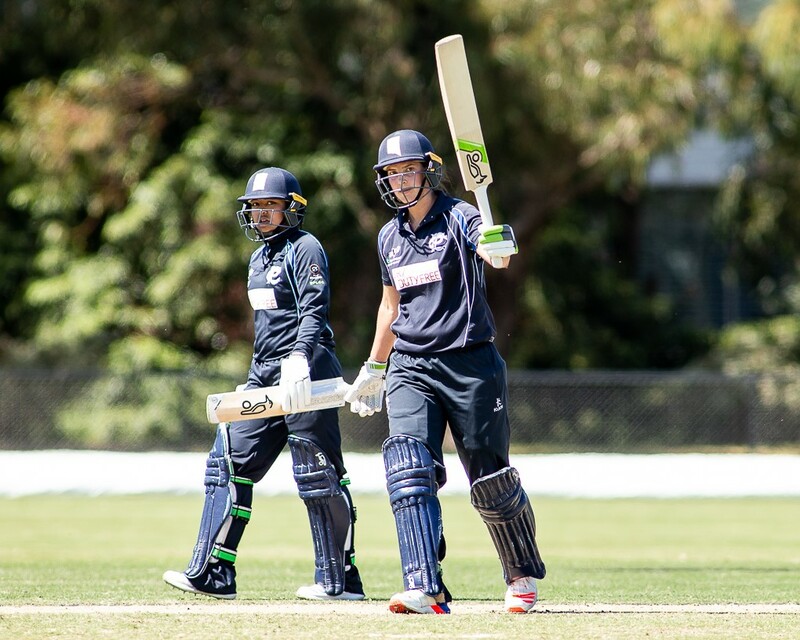 The Bats will be keen to turn their fortune around against Prahran after their last game saw Jess Duffin scoring 235. With Prahran expected to get their State representatives back, they will go in as favourites to win and tie up the Minor Premiership. Finally, Essendon Maribyrnong Park (6th) take on Ringwood (8th) at Jubilee Park #2 Ringwood (The Rock) due to Aberfeldie Park still being offline. For the Bombers, the season has oscillated more than a hospital bedside TV and they still find themselves a chance of making Finals. However they cannot afford to lose to a Ringwood side that is finding their feet. While the Rams are looking promising and starting to gel together as a team, this will be a big challenge for them. EMP to go in favourites. Umpire John Collins (1st XI Cap #326) will umpire his 450th Premier match this weekend when he stands in the Fitzroy Doncaster vs Prahran Men’s Premier 3rd XI match at Schramms Reserve #2. John made his debut in season 1990/91 and his Premier 1st XI umpiring debut in season 1993/94. John has stood in 4 Men’s Premier 1st XI, 231 Men’s 2nd XI, 143 Men’s 3rd XI, 48 Men’s 4th XI, 15 Women’s 1st XI and 8 Women’s 2nd XI matches to this point. Aaron Ayre (Essendon) will play his 100th Premier 1st XI match this weekend when the Bombers take on Northcote at Windy Hill. Since his 1st XI debut in 2013/14, Aaron has scored 3,669 runs with 6 centuries (including 657 in this current season) and taken 111 catches and 16 stumpings. 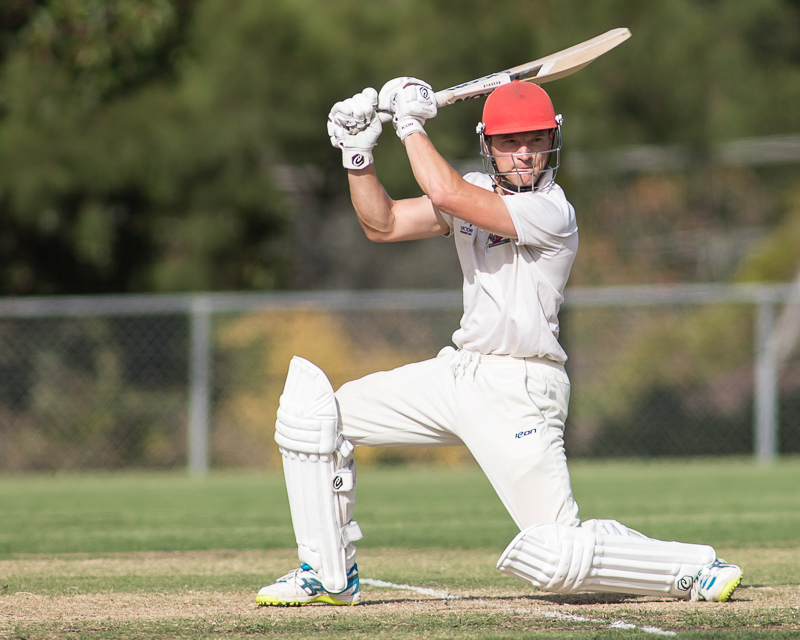 Thomas Rogers (Melbourne University) will play his 50th Premier 1st XI match this weekend when Uni take on the Camberwell Magpies at Camberwell Sports Ground. Dean Russ (Footscray) scored his 7,500th Premier 1st XI run during his innings of 23 against the Camberwell Magpies. Tim Ludeman (Geelong) scored his 2,000th Premier 1st XI run during his innings of 53 against Prahran. Dylan Kight (Footscray) took his 250th Premier 1st XI dismissal last round when he caught Dylan Hodge of the bowling of Dean Russ. Kight has now taken 211 catches and 39 stumpings in his Premier 1st XI career.